Floating at home on a budget was finally made possible. Since early 2011 Shane Stott's Isolation tank plans have helped thousands of people to both build and maintain their own float tanks at home, Shane Stott offeres obsessively detailed plans and personal help and guidance. Shane Stott reached popularity through YouTube and word of mouth, he continues to offer a refreshing down to earth, balanced approach to floating that has become highly valued and respected amongst the global float community. "Floating opens many doors to the subconscious world. Once inside an isolation tank, many people see images and experience feelings of an inner self that they never knew existed. They can learn how to harness their senses and channel positive energy where it is needed." "Initially your going to be excited, your going to want to loose your body, loose your mind, get far out, but for me personally, the first time I floated, it was more about just settling in to what I was doing because I was pretty nervous about getting fresh air, I was nervous about allot of things, I was honestly worried I was going to get trapped in the tank, I had too much anxiety to really relax, and it seems like after I went a few times, I got comfortable being in the tank and started to get really relaxed and then I would say 5 times in, I actually got that feeling where your body starts to fall asleep and your mind stays awake, and that is a way cool feeling. I would say its like going to the gym, I kept going and I kept getting better and I'd get more comfortable and I could get out quicker, I've gone 80 times and now I can hop in and relax and be totally comfortable and just get way out there, I'd say the best part is when your body falls asleep but your mind is awake and you can feel all your circulation, you can feel that your body is alive, you can feel your heart beat, your breath and sometimes you even get these crazy chemical high's where you get the chills and your hair stands up and it feels amazing"
Shane Stott will be featuring in a number of upcoming float documentaries including Float Nation and will be attending the Portland float conference 2013. 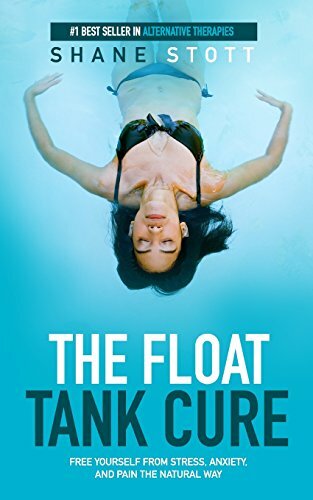 Shane Stott answers the question every floater feers, Will I suffocate in a float tank? Shane Stott runs through the top 3 things that can enhance a home float. Shane Stott describes the top 3 things that can ruin a home float.